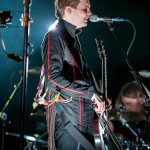 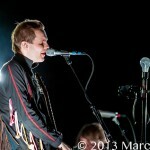 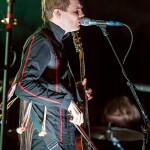 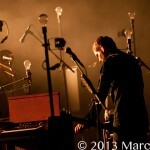 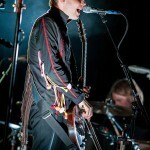 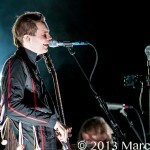 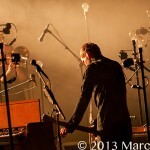 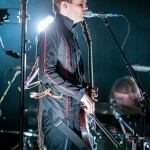 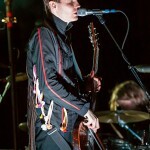 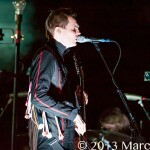 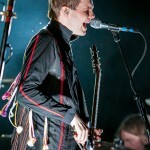 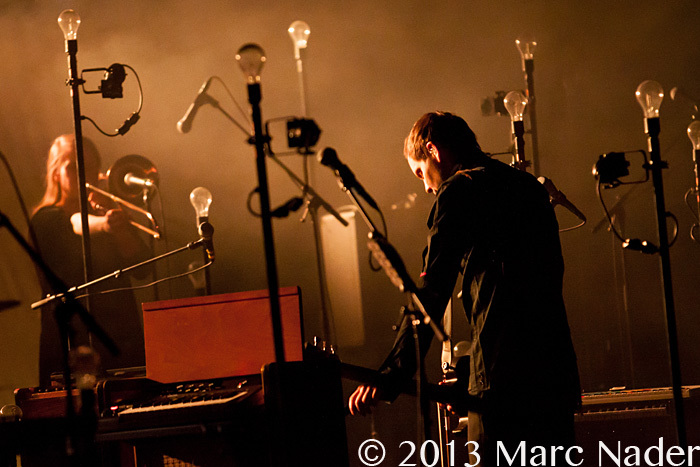 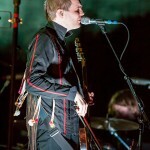 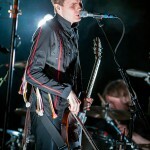 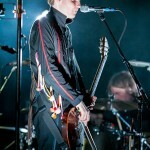 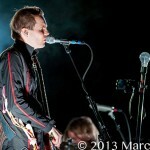 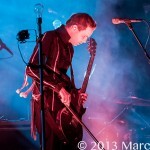 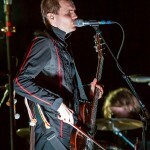 Sigur Rós performed in front of almost sold out show at The Fox Theatre Monday night in Detroit. 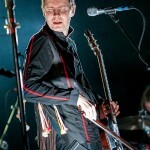 Not knowing what to expect, since my knowledge of this Icelandic band was very minimal, I was soon thrown into a world of music that I am not very accustom too. 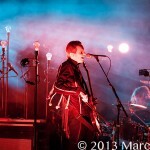 The stage was draped with a giant almost translucent screen in front of the entire band for the first three songs. 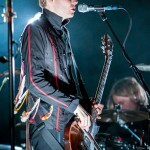 With the manipulation of lights lead man Jon Thor Birgisson’s shadow changed shapes and sizes while he was performing. 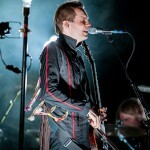 Jónsi uses a bow to play his guitar and as his shadow changed while he played was quite creepy yet beautiful. 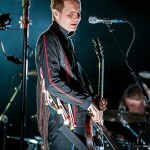 Sigur Rós’s music is very melodic with a classical influence and since I do not speak his language I did not understand a word he was singing yet I was drawn to his musical performance. 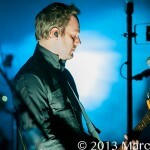 This was no rock show but I highly recommend the experience!